Featuring cerise germini, green hypericum, blue lisianthus, cerise large headed roses and red large headed roses with folded aspidistra leaves, variegated dracaena and salal presented in a large globe glass vase. Featuring 3 Happy Birthday helium balloons and a bottle of Louis Rozier champagne presented in an gift bag. Aberdeen’s leading florist offers a range of flowers with a value over £35, this is the perfect place to look if you want something a little more special and meaningful. All of our flower bouquets and arrangements from Aberdeen Flowers are of top quality, being imported directly to us from Holland means your flowers will last even longer when they are delivered. Importing from the site of cultivation is the best way to bring you the quality and freshness you need from all of your flower arrangements so that everything we send out is of the highest standard. The range of flowers here have a luxurious touch and are that little bit bigger which makes all the difference in making your chosen flowers the best they can be. We have so many different colours and varieties that there is sure to be something here to suit any recipient you have in mind and for whatever reason, whether you want to send flowers to mark an occasion like a birthday or anniversary or just because you want to. Our Aberdeen Florists are equipped to bring you beautiful flowers and can help you find something suitable for any occasion so that any flowers you send are always appropriate. When you order from Aberdeen Flowers you know that you will receive the best service available because our Aberdeen Florists care about customer satisfaction above all else. We go to every length to ensure that you receive exactly what you want from your order at Aberdeen Flowers. With us you know that your Aberdeen Flowers will arrive in great condition and will be guaranteed to stun your recipient with their beauty. 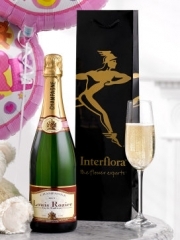 Our Aberdeen Florist has a range of chocolates, champagne and wine which can all be delivered by us personally. Aberdeen Flowers have extensive experience in the flower and gift industry, so you can rely on us to make sure the gift you pick looks extra special. We spend all the necessary time on our Aberdeen Flowers and gifts so that everything is presented as beautifully as possible. At Aberdeen Flowers we gift wrap all of our bouquets to make them look even more special and give them a WOW factor. Aberdeen Flowers offer Same Day Delivery on our flowers as well as next day delivery or of course you can choose what date you prefer, perfect for a birthday or occasion on a specific day. Our delivery service means that your Aberdeen Flowers can be taken anywhere in the UK and even 140 other countries overseas thanks to a network of florists we trust. We offer Same Day Delivery when you order before 3pm to allow our Aberdeen Florists time enough to make your flowers and gifts perfect just as you want them to be. 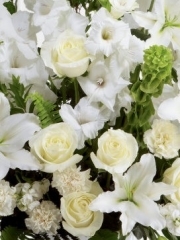 Aberdeen Flowers are proud of the service and quality products we have on offer, if you have any questions for our professional Aberdeen Florists to answer you can call or email us and we would be happy to help.